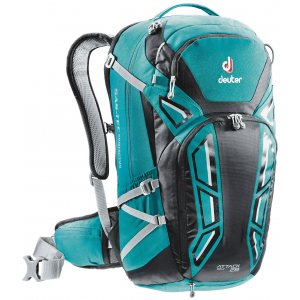 Visit Deuter's Attack 20 page. 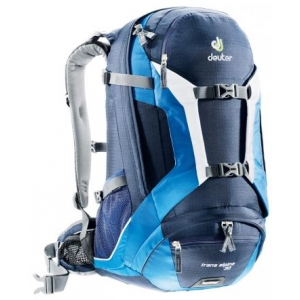 Deuter Backpacks & Bags Attack 20 L Backpack-Black 320021670000. The padding system allows for ventilation so you stay cool when working up a sweat. 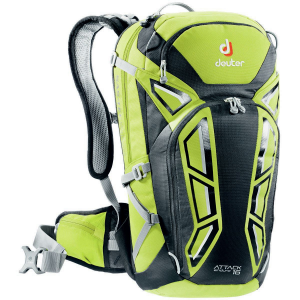 Stay hydrated and comfortable with the Attack 20 L.
Charge downhill trails on your mountain bike a little faster and a lot more confidently with Deuter's Attack 20 Backpack protecting your back. Boasting a high safety standard certified by TUV/GS, the Attack's Shield System uses viscose-elastic foam to absorb shock from harsh impacts, and you can remove it if you like to live dangerously. 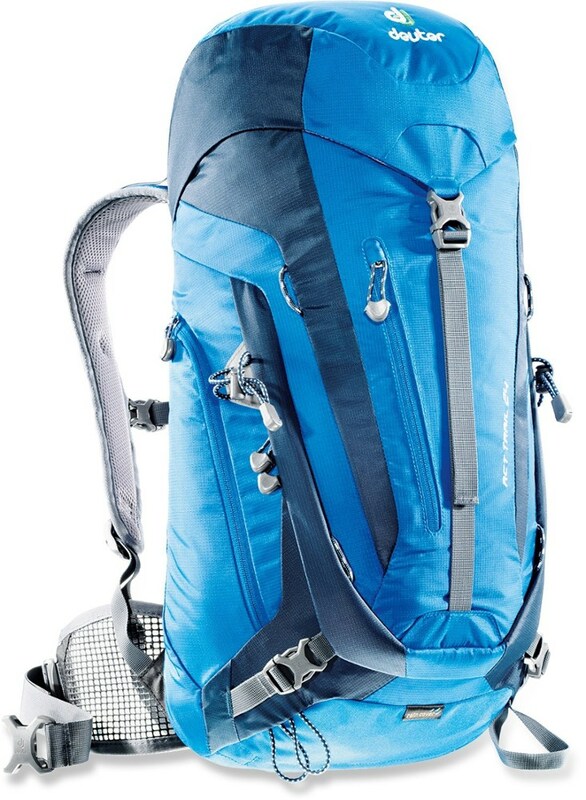 Deuter molded the shoulder straps to move with you, and there's enough padding at the waist belt to keep you comfy. The Attack also features a hydration sleeve compatible with your three-liter bladder, and there's a helmet holder suitable for full-face brain buckets. 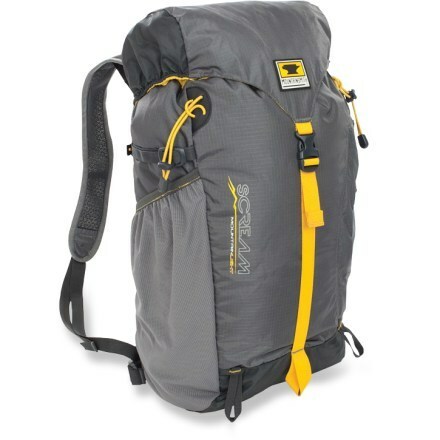 Deuter also added a rain cover to protect your gear from wet weather, and the waist belt has zippered pockets for protein bars. 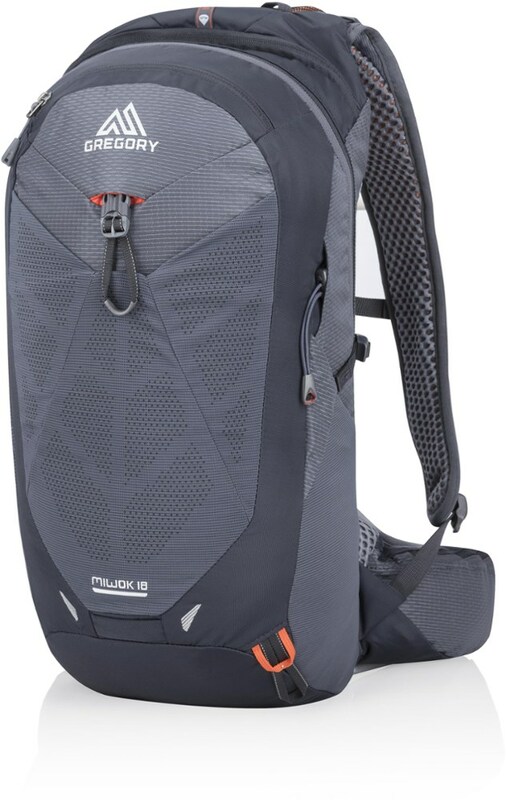 There are more pockets for valuables, electronics, and water bottles, too.